Helm offers a collection of just 22 exclusive residences nestled neatly in the established neighbourhood of Hawthorn. 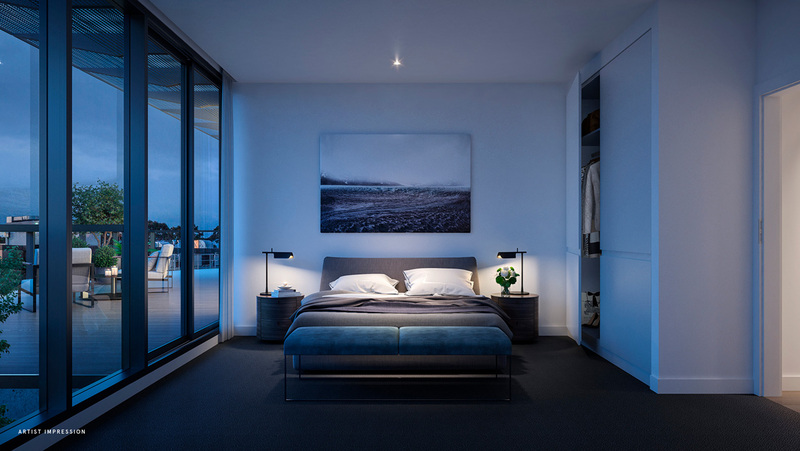 Helm’s selling point is undoubtedly the combination of richly designed interiors by Mim Design and an impressive range of luxury amenities – together these two deliver an unparalleled standard of living suited to the ambitious and indulgent Melbournian. 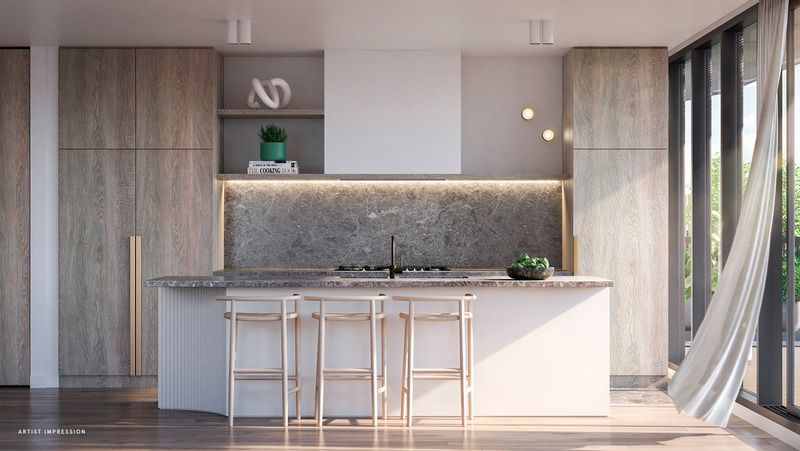 Helm is perfectly positioned on the corner of Cook Street and Burwood Road, proudly boasting its striking architecture that is defined by a unity of both sweeping and geometric lines. The result is a form with a distinctive facade, bringing fresh and exciting shapes to the street while ensuring it fits in with Hawthorn’s urban landscape and its integral sense of style. Moving inside the homes, it is abundantly clear that the interior design, both in terms of layout and aesthetics, is created with the future occupant in mind. The form is crafted for a fluid living experience, with wide open spaces and logical positionings. The open-plan living and dining space combines effortlessly with the kitchen for maximum functionality that reflects how real life happens. Visually, the living space is the result of a luxurious assembly of fixtures and features, available in both a light and dark version. In each case, the sophisticated and neutral palette that colours the home is composed of rich timbers and natural stones, giving the atmosphere a sense of organic homeliness that is both modern and timeless. All rooms in the apartment are fitted with top-of-the-range inclusions. In the kitchen, European appliances and stunning bench tops deliver an enviable cooking experience. In the bedrooms, each one a private oasis in a vibrant city, plush carpeting and an ensuite bathroom elevate the living experience. 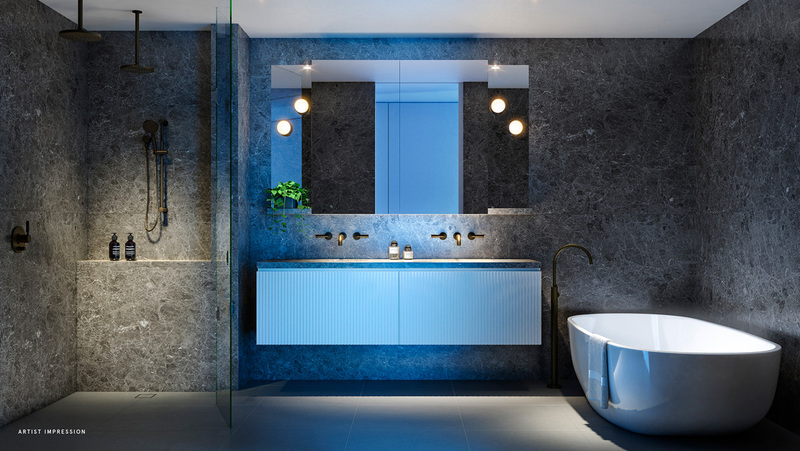 The bathroom itself is a work of art, with intriguing wall detailing, vintage brass tapware and an elegant freestanding bath. In warmer months, residents will enjoy their personal terrace either for relaxing alone or entertaining guests. 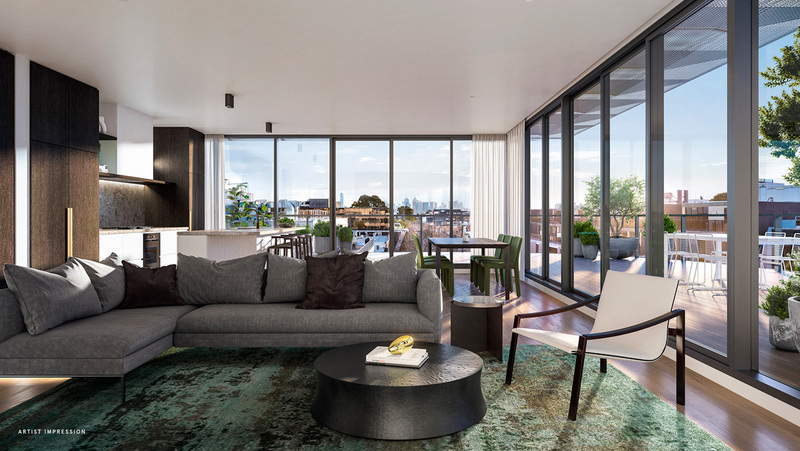 Offering immaculate views of Hawthorn, neighbouring suburbs and the city skyline, this private outdoor area will be an enduring highlight of the home. Helm’s exclusive residents’ rooftop is second to none. With a stunning swimming pool, luxury lounge area around a fire pit, large dining table, and BBQ facilities, there’s really no need to leave the building on a Sunday. Helm’s location provides the perfect opportunity to lead a vibrant lifestyle without having to venture into Melbourne CBD. Hawthorn’s growing selection of cafes, restaurants and shops will serve residents well and Richmond’s nearby amenity provides an excellent opportunity to explore neighbouring suburbs. Reaching the CBD is entirely effortless – simply catch the train from Glenferrie Train Station and in four stops you’ll find yourself in the city. Door to door, this trip takes just 16 minutes. For more information or to enquire about Helm, click here. FInd more Melbourne off the plan apartments here.